You’ve seen the “yuge” rallies. You’ve read all of the Tweets. 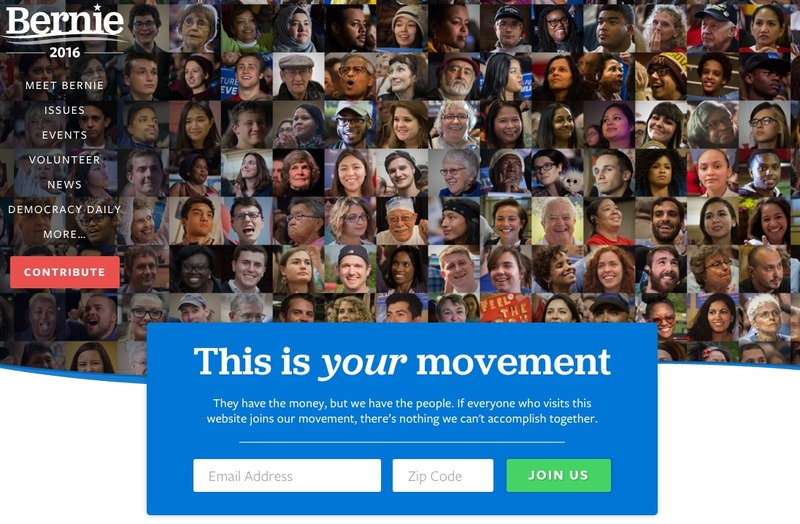 You’ve even heard about the new dating site for Bernie Sanders supporters. While you may not agree with his positions, there is no question that Senator Bernie Sanders, the democratic socialist senator from rural Burlington, Vermont, is absolutely killing it in his digital campaign. Across Facebook, Twitter, & Instagram, Sanders’ content generates the most engagement, with an average of 23,200 Facebook likes per post, 793 Retweets per Tweet, and 38,010 Instagram likes per post. How is he doing so well? 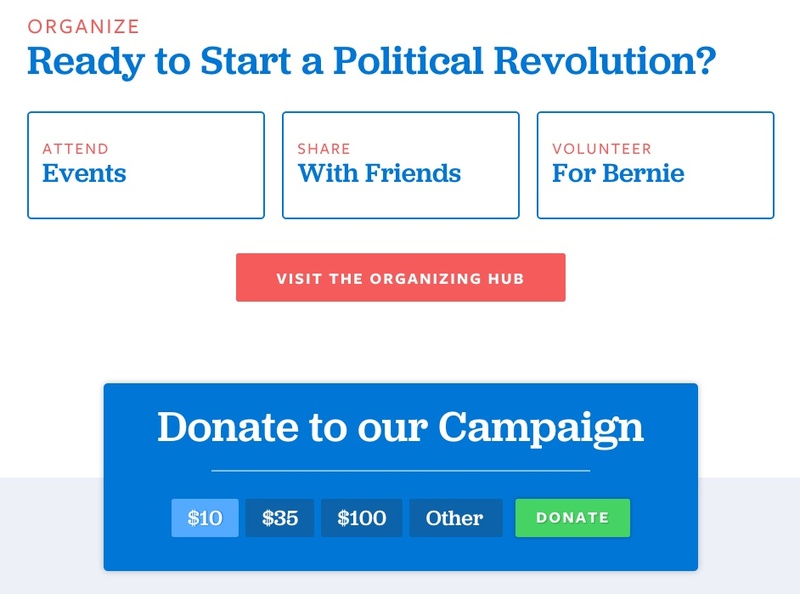 And, more importantly, how can conservative digital activists steal Sanders’ strategies and use them to #win2016? 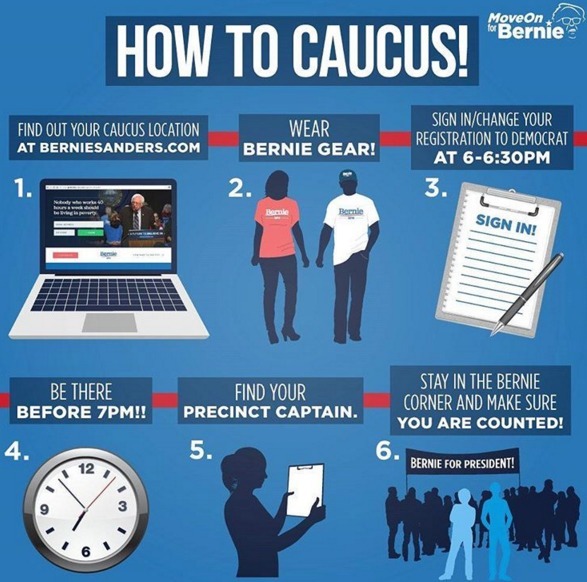 Here are a few ways you can “feel the Bern” in your own conservative campaign. There are three reasons why saying “we” can help your campaign. First and foremost, it makes your supporters feel like they are a part of a nation-changing effort. Second, it acknowledges at the onset of your campaign that the people surrounding you are spending hours upon hours to put you where you are supposed to be. Finally, and most importantly, saying “we” not “me” is a way to acknowledge that you serve the voters and, when you get into office, you are accountable to them. Just like using “we” over “me” is a verbal way of acknowledging your supporters, headlining shots of your supporters””whether on the homepage of your website or one your instagram posts. Don’t just say you have a broad range of supporters, show that you do. A great way to engage your supporters on social media is, when you mention someone or use their photo, tag them (Facebook) or mention them (Twitter & Instagram). That alerts them to your post or tweet so they can share or retweet it, giving more visibility to your campaign. 3. Put All Your Action Steps in One Place. Giving your supporters multiple avenues to get involved is more likely to get them to pick one rather than making them make a yes or no decision on one option. Whether you want to introduce yourself to newcomers or remind your supporters of your rock-solid record, creating an easy to navigate section where you can tell your story will do wonders for your online presence. 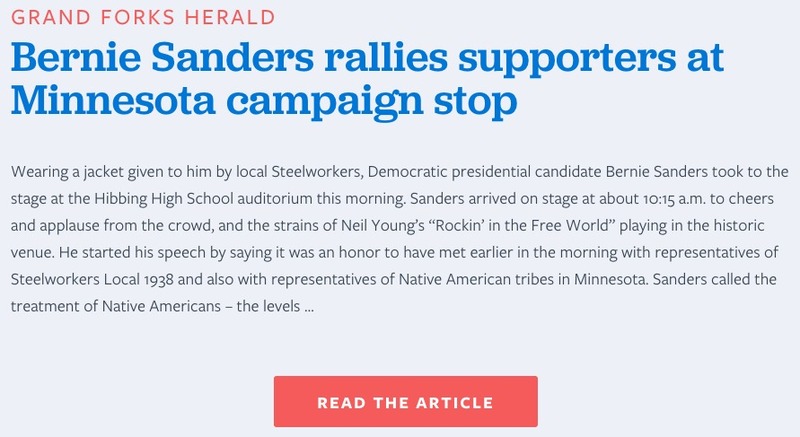 One of the advantages that Bernie has had is that his record has been consistent throughout his entire campaign””this is not true with some of the other candidates (Democratic or Republican). So make sure that your story is one that is consistent and presents you as a trustworthy option for the voters to support when they go to the polls, or consider getting involved. 5. Put Your Message in People’s Pocket. While social media and email are “yuge” in generating supporters and voters, there’s nothing like getting your message into people’s pockets through text alerts and reminding them to vote, or letting them know there’s a rally coming their way. 6. 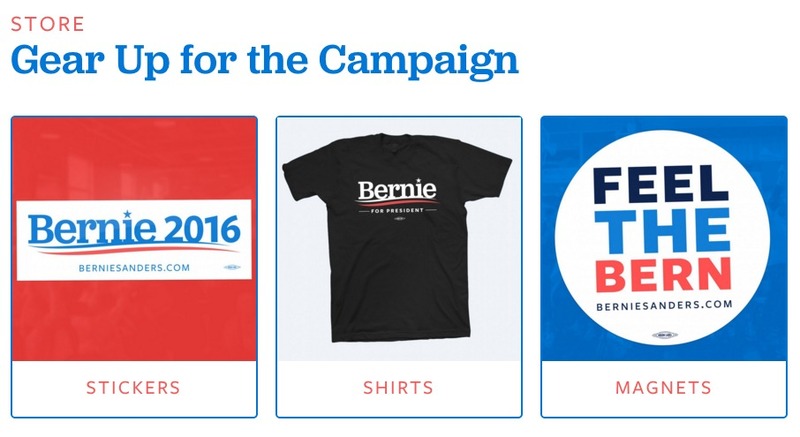 Create an Accessible Campaign Store. Ordering from Amazon can happen in two-clicks, so why should it take more to order campaign swag? Make it easy for supporters to see what’s available and purchase it, so that they can spread your message across their community. When people visit your website, they should know how to connect with you and your various social media accounts. Make sure you have some way for people to connect, and make sure that you are spread across more accounts than just Facebook. (Notice the link to Tumblr””use it to connect with millennial voters. 8. Maintain Two Blogs””One for Issues, and One for Campaign News. While using a blog to keep people up-to-date on your campaign is important, it’s also important to keep people up to date on the issues so your candidacy stays relevant in their eyes. The solution: create two blogs. The first functions more like a “campaign news” stop, giving supporters and potential supporters a window into what your campaign is doing at the national, state, and even local level. It tells the voters how you are doing in the race. The second should be an issues blog, that keeps potential voters informed on issues that are crucial to your race. This blog reminds voters why you are running, and why your candidacy will impact the issues they care about. 9. Embed Action Steps in Your “Issues” Page. 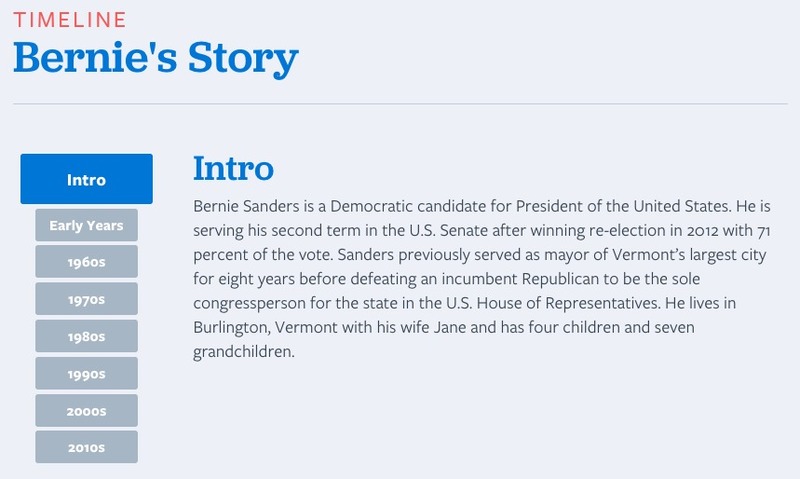 This is, without a doubt, my favorite feature of Bernie’s campaign website. 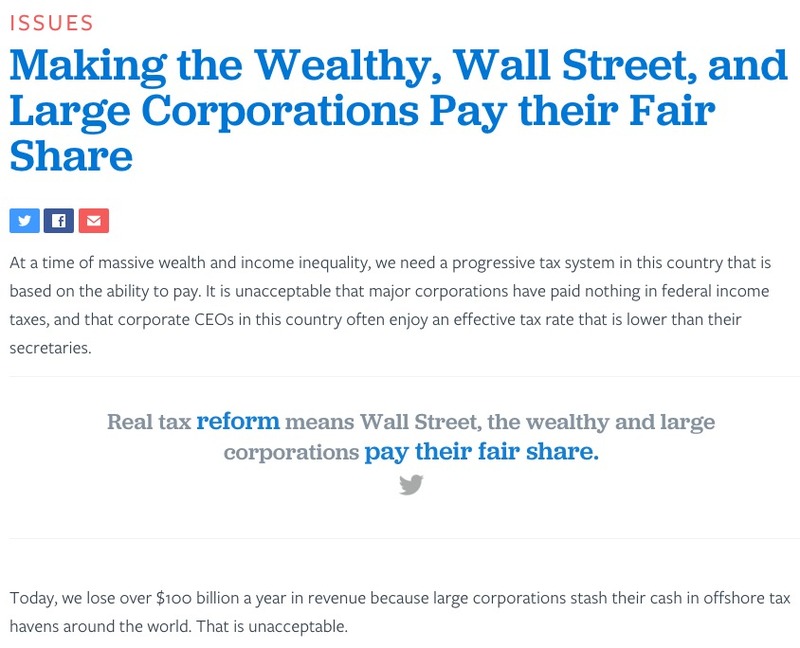 On his “Issues” page that describes where he stands, there is a link that summarizes his position and automatically writes a Tweet from the user that links back to the campaign’s Twitter profile. When people are reading about your stances on the issues, that’s the perfect opportunity to get them engaged and ready to get involved””even for a moment. Include petitions and social share links that will get your message out when your supporters””or even prospects””are most likely to care about it. 10. Use Memes and Infographics to Explain Voting Procedures. Between caucuses, voter registration, and other procedures, voting can sometimes be complicated. Fortunately, graphic design tools (some of which are free, like canva.com) can allow you to visually describe these procedures in a way that is easy to digest. Plus, the stats show that posts and tweets with images generate more engagement than those without, so you are both driving up your social media stats and making it easier for people to vote at the same time.